Can Positive Affirmations Really Change Your Life? If you’re unfamiliar with the concept of positive affirmations, an affirmation is basically a word or phrase that you say to yourself to influence the way you think. You probably already say thousands of affirmations on a day to day basis without realising it. Problems arise when your mind is filled with negative affirmations rather than positive ones. For example, when faced with a new challenge, your brain might say “I can’t do this” or “I’ll never succeed”. These negative affirmations can be really damaging and can prevent you from achieving your dreams and full potential. 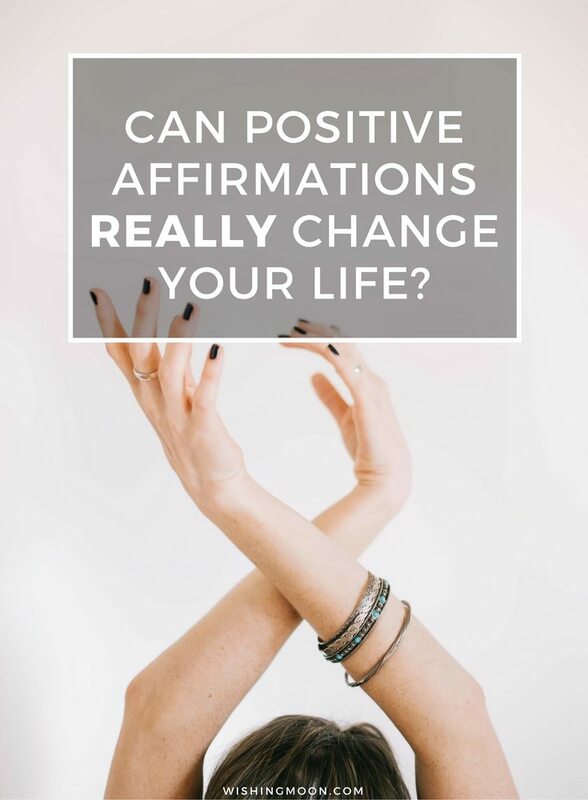 For centuries, many people have believed that positive affirmations can retrain our brains to think in a more optimistic way and, in turn, change our lives for the better. Although some people are sceptical about the power of affirmations, we’ve seen firsthand how they can change people’s lives if done correctly. An affirmation can open a door to a more positive life. By adopting a positive state of mind, you can encourage yourself to reach out and grab opportunities that you may previously have shied away from. The problem is, many people give up the minute they feel like their affirmations aren’t working. They’ll repeat a word or phrase three times in front of the mirror one morning and, if they don’t have a good day, they won’t try again. Often, they’ll overpower the strength of their positive affirmations by saying things like “this will never work”. For positive affirmations to effectively do their job, you need to persevere. Remove negative affirmations from your vocabulary and replace them with the exact opposite. So, instead of saying “I’m not good enough”, say “I am good enough”. If you don’t see ‘proof’ that your affirmations are working straight away, that doesn’t matter. You’ll only start to see noticeable differences in your life and wellbeing when you’re ready to believe in your affirmations’ ability to help. If you’re constantly doubting the effectiveness of affirmations, your brain continues to be a breeding ground for negativity and self doubt. Remember, affirmations aren’t magic and they won’t transform your life for you. Ultimately, it’s your responsibility to control your future. You have to work at it and be willing to see the world from a new perspective yourself. You need to train mind and teach it to be flexible enough to tune out those negative, self deprecating thoughts while adopting a more optimistic approach.